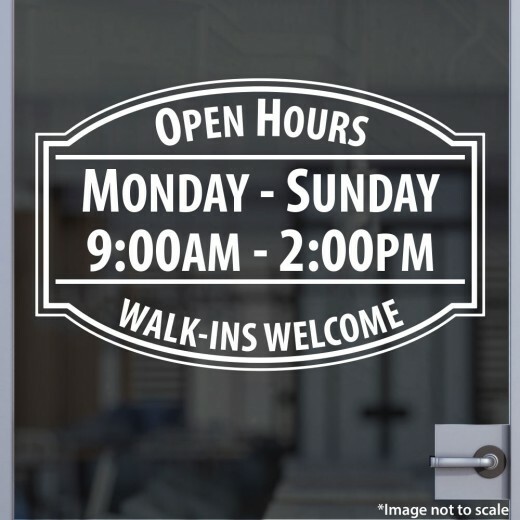 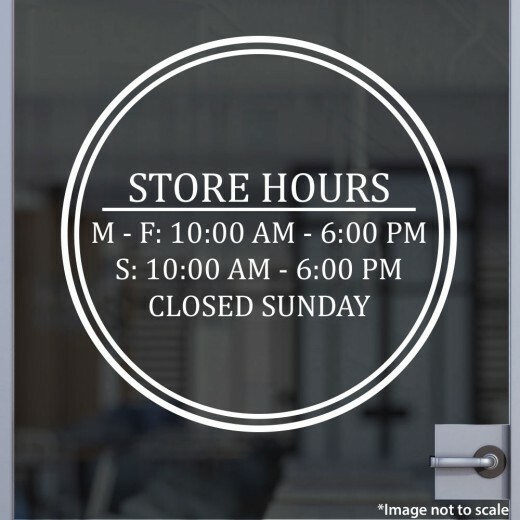 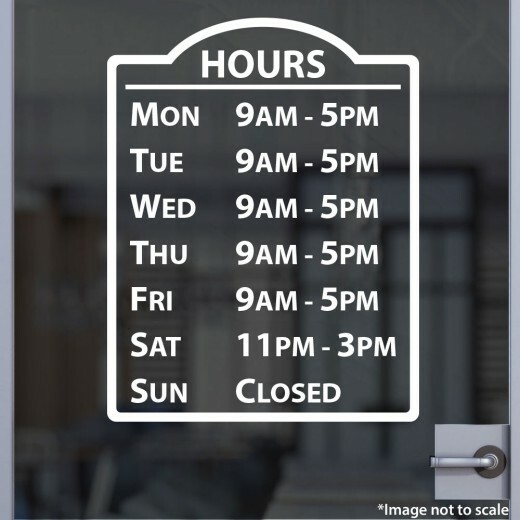 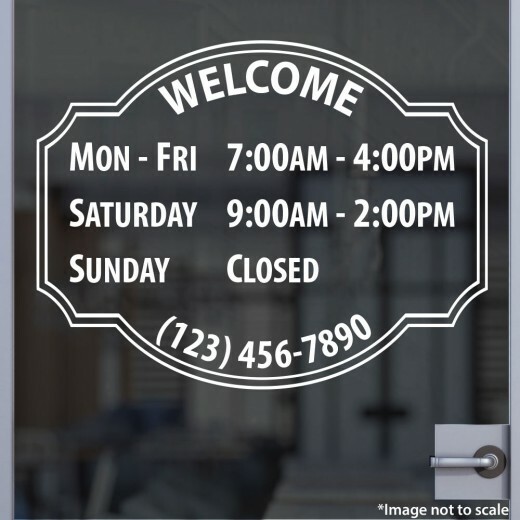 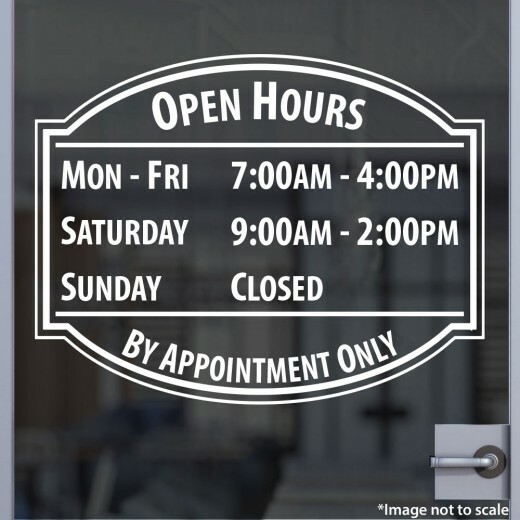 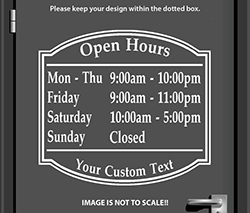 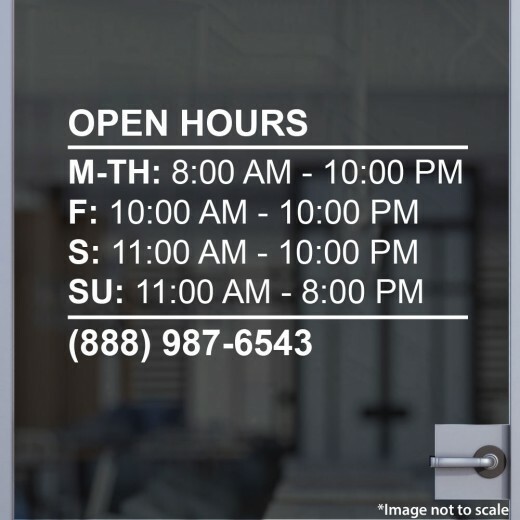 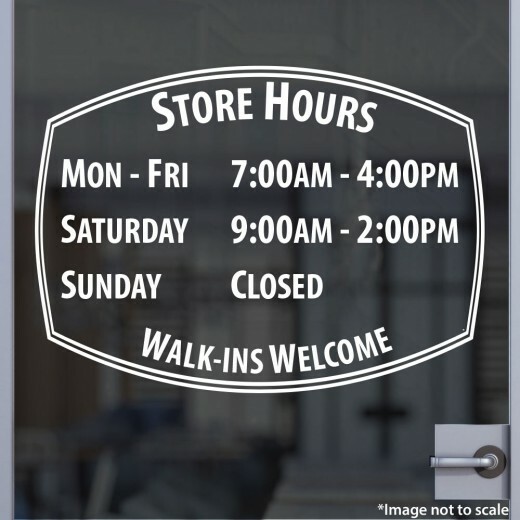 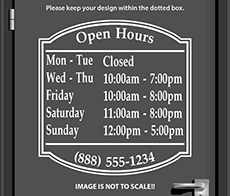 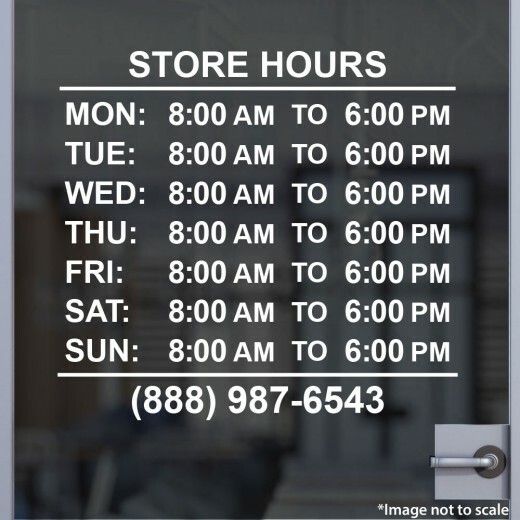 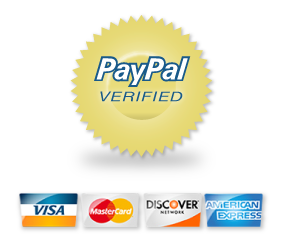 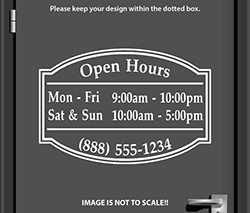 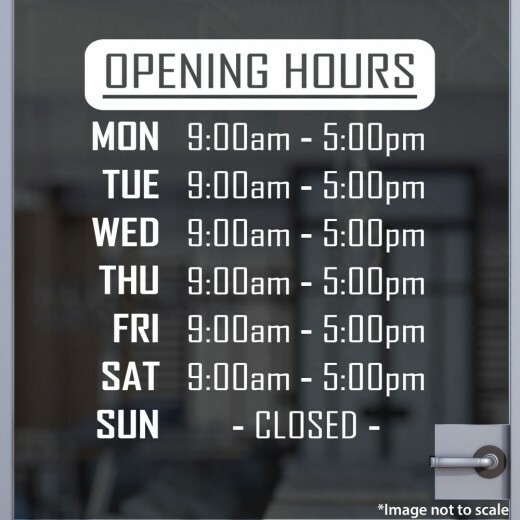 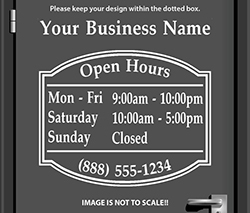 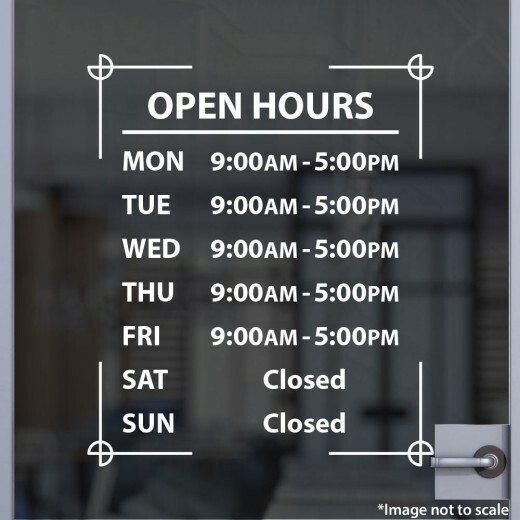 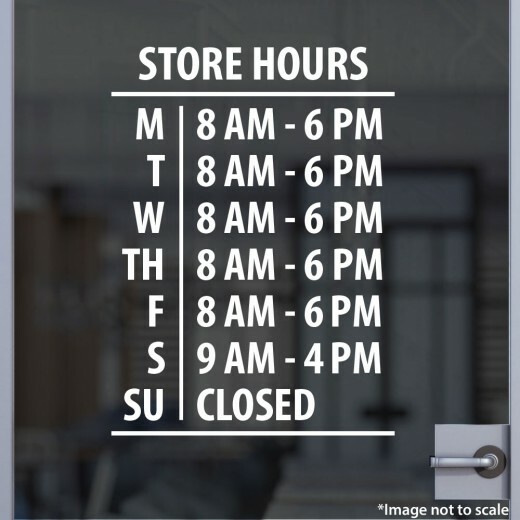 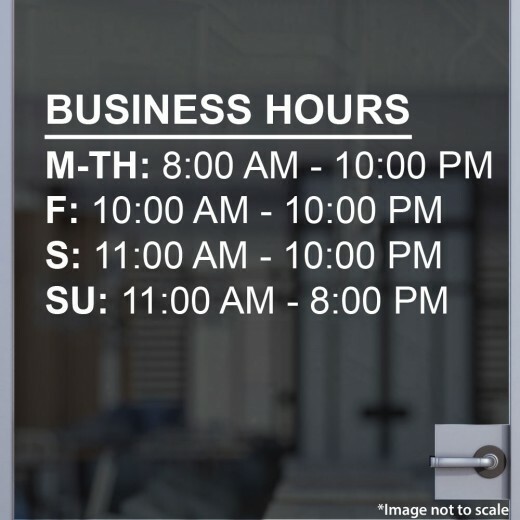 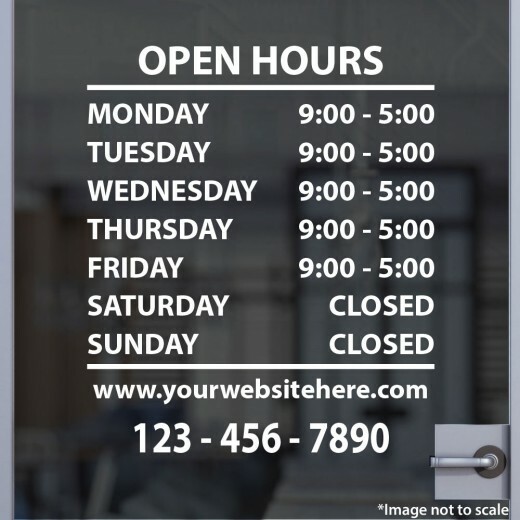 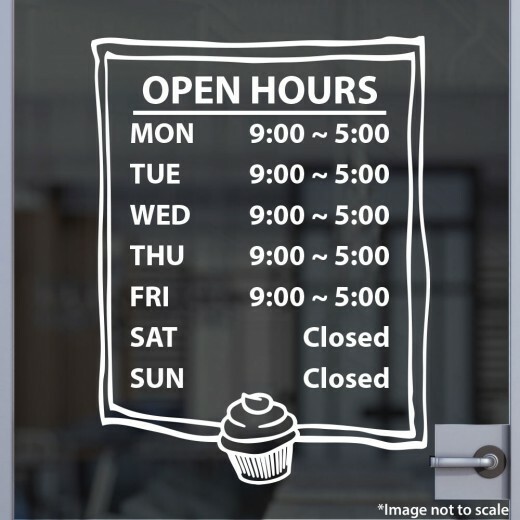 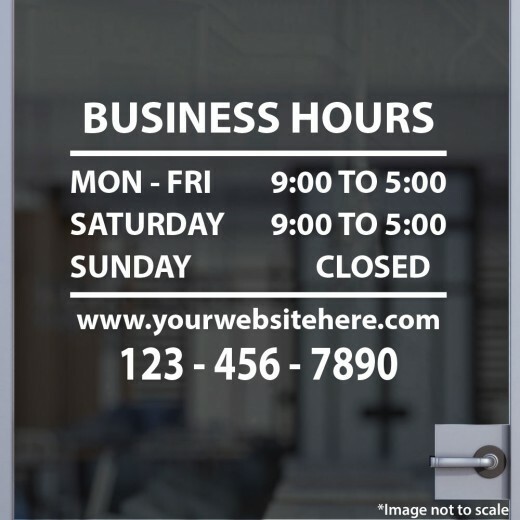 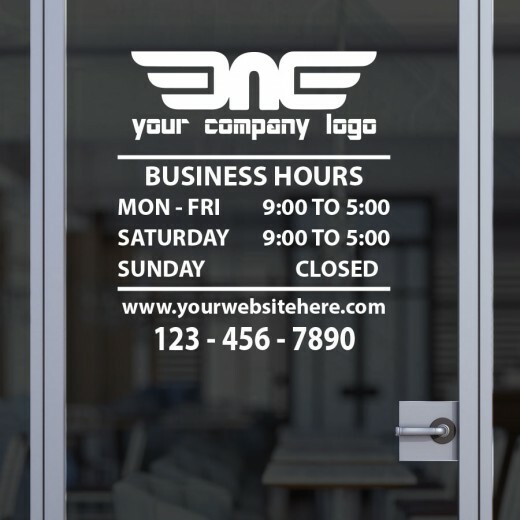 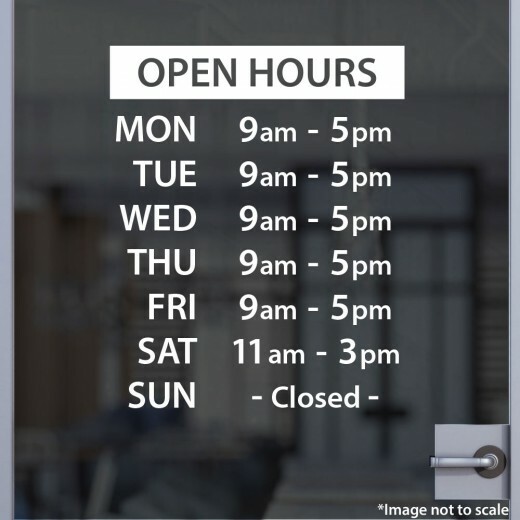 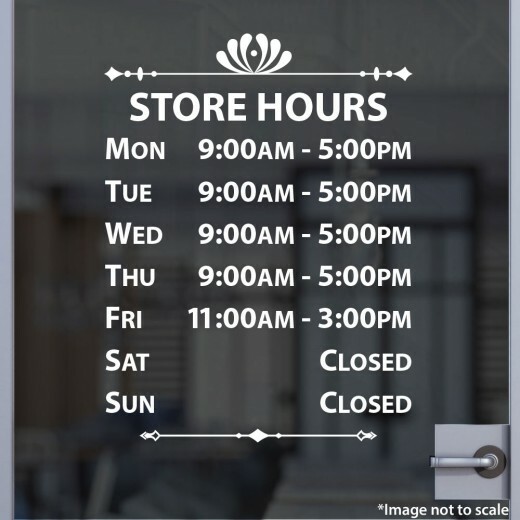 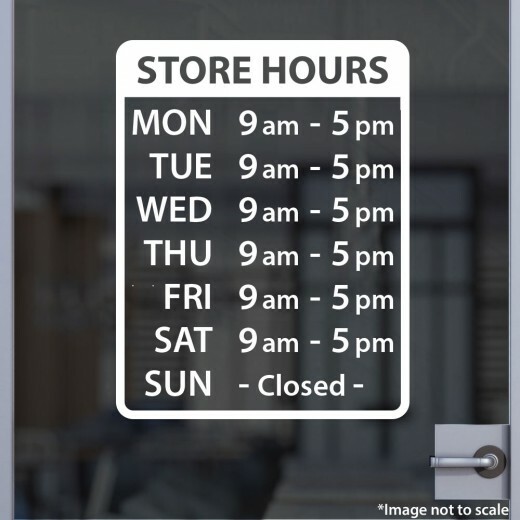 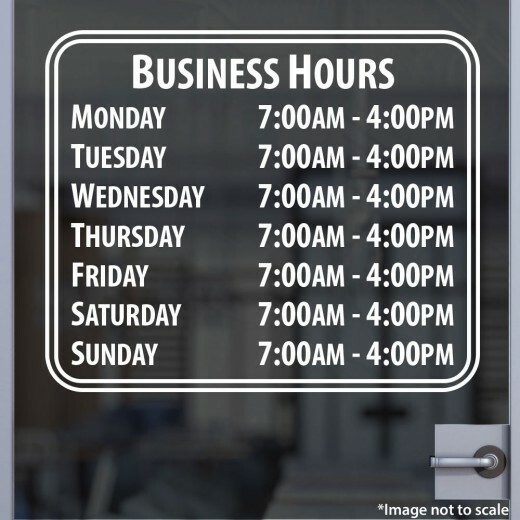 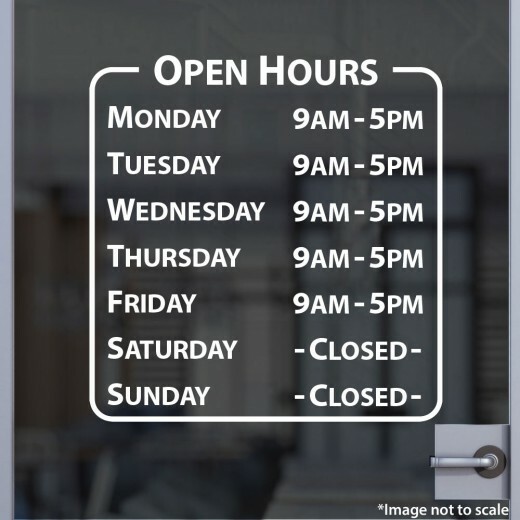 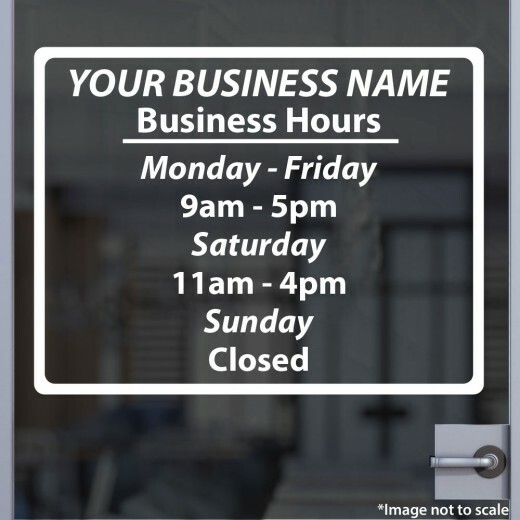 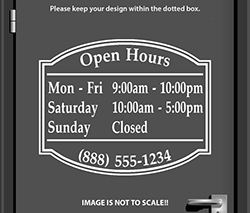 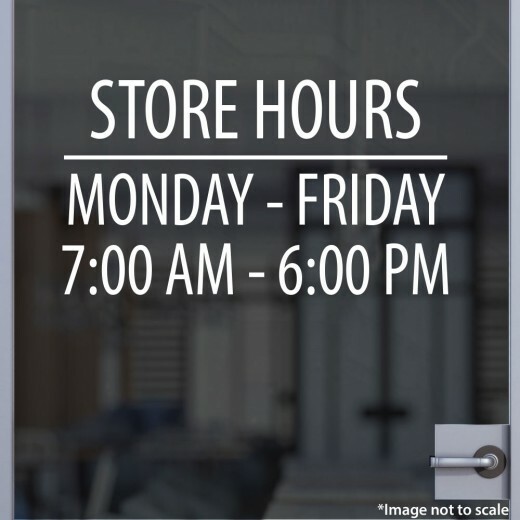 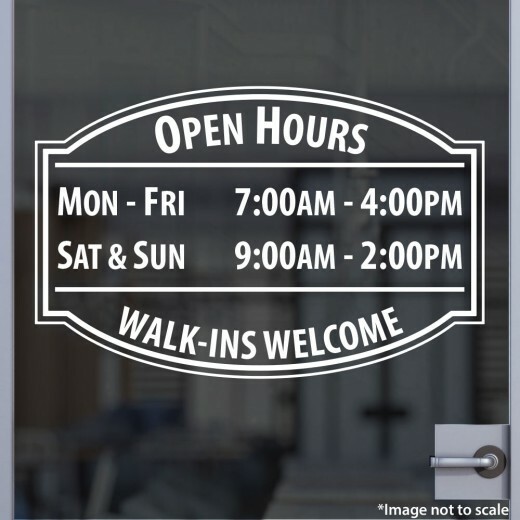 These design templates are for all-purpose open hours for various types of businesses. 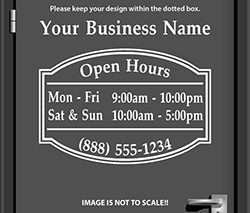 If there is a design that you have seen elsewhere, and you would like one of our skilled designers to recreate it for you with your business information, please send us an image to sales@stickertitans.com. 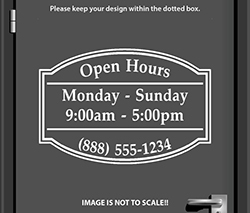 X-Banner Stands 24" x 63"